Los Angeles is home to some different theaters, museums, music venues and other domains which makes it a city rich in culture. 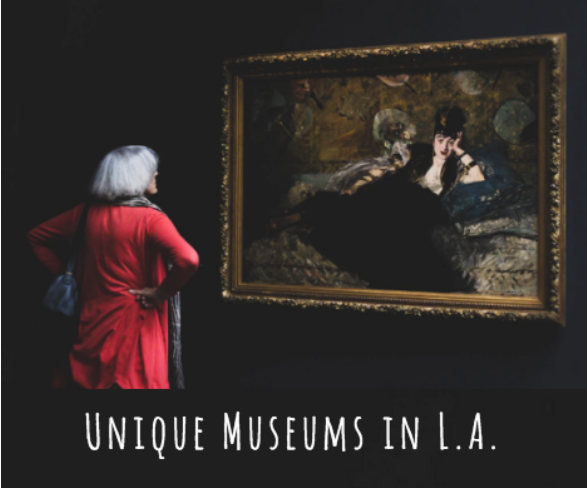 If you are interested in going to a museum, consider some of these, which many believe are some of the best museums Los Angeles has to offer. One of the most popular museums in Los Angeles is also one of the newest. The Broad is a contemporary art museum and is named after philanthropist Eli Broad, who financed the museum. The museum is known for its impressive art features as well as the Infinity Mirrored Room by Yayoi Kusama - it is an immersive exhibit that you will certainly not want to miss out on. Tickets to the Broad are FREE; you need to reserve your tickets online. Visit the official website for more information. The Hammer Museum, located in Westwood near the University of California - Los Angeles, is another contemporary art museum filled with edgy and thought-provoking pieces of artwork. The museum also houses some art pieces from different time frames including works from Rembrandt, Moreau, Sargent and Van Gogh. A bonus to the museum is that it is in walking distance from the bars, restaurants, and shops of Westwood making it a great place to explore. Admission is FREE, and the museum is open Tuesday through Sunday and closed Mondays. Visit today! The Getty Museum is an impressive collection of art housed into two different locations in Los Angeles. The Getty Villa will take you back in time to the world of ancient Greece and Rome. Here you’ll find art pieces and other artifacts from the Greek, Roman and Etruscan era. Additionally, the museum is designed to look like a beautiful ancient Roman villa. The Getty Center, on the other hand, houses some artwork including paintings, drawings, sculptures and photographs from the 1830s to the present. The museum is known for its impressive architectural buildings and beautiful rose gardens. Stop by either campus of the Getty Museum today!